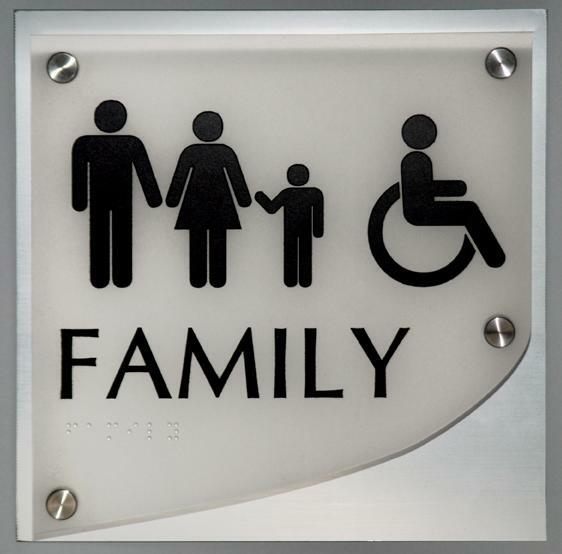 Restroom signs are available in a variety of materials ranging from plastic to renewable materials like bamboo. This sign as created from brushed aluminum, acrylic, and vinyl graphics and text and it includes a braille inscription. ADA law states that accessible parking options must be clearly marked and available for customers in your business parking lot. This higher end signage option is just one of the many solutions we can offer. 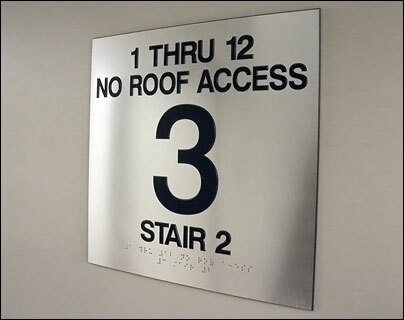 This stairwell sign clearly guides, while staying ADA compliant with the braille inscription. These signs can be made from many different materials, this one features an aluminum substrate with custom vinyl lettering. ADA compliance does not mean your signage can't be stylish and modern. 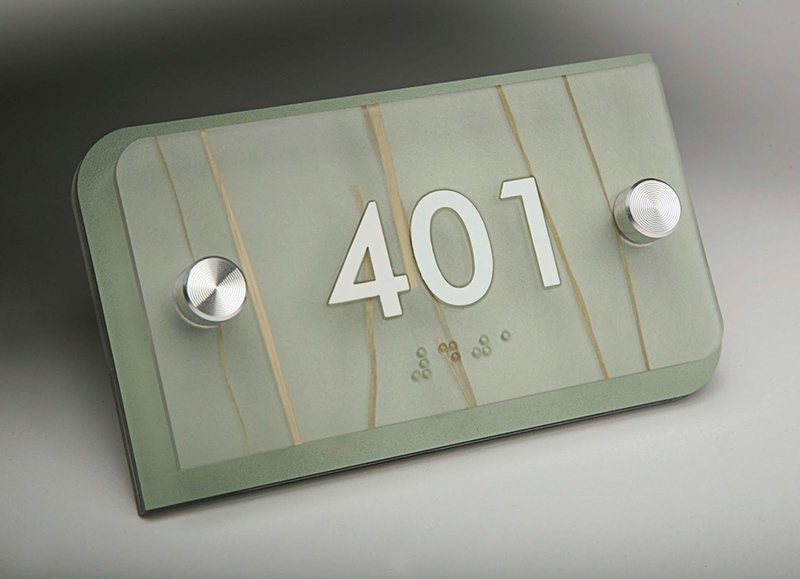 This suite number sign utilizes renewable and natural materials, while remaining ADA compliant with its raised braille inscription. 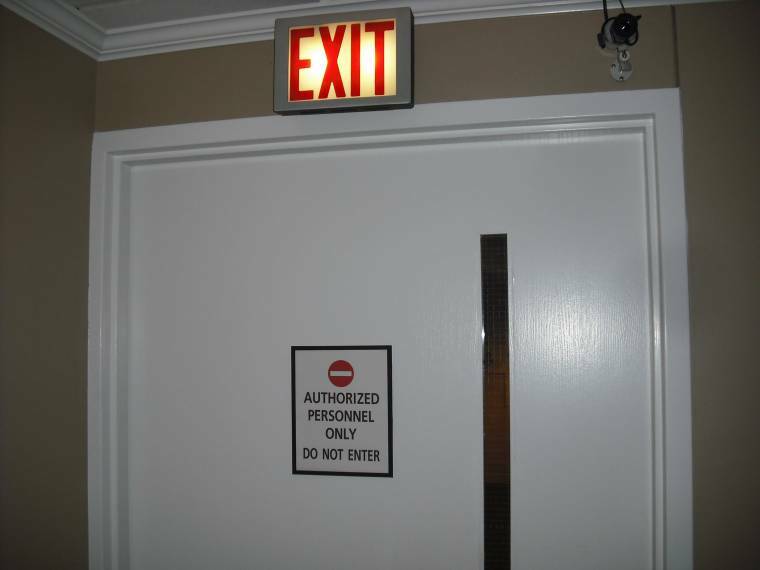 Clearly indicating exit points for a building is required by law. We can provide illuminated and non illuminated options in a variety of materials. For business owners, keeping up with ADA signage requirements compliance standards can be overwhelming. This is where your personal signage consultants at Insights Signs & Graphics comes into play. 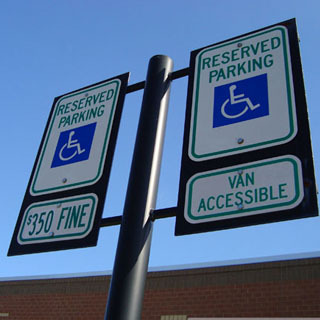 We work with business owners and property management companies around the country to offer a wide range of ADA complaint signs that are elegant, functional and in accordance with the Americans with Disabilities Act. Let the creative team at Insight Signs & Graphics create a seamless ADA compliant signage program for your business . Don’t wait –give us a call at 707-887-1303 or contact us today to request a FREE estimate. We will partner with you to create custom ADA signage program that is elegant, effective, and compliant.